Welcome friends here I bring my application I've been developing since 2009, and now, in this latest version I added the PCSX2 compatibility list. What is JLojch? What is the utility JLojch? JLojch was created to have a fast and efficient access, which lets in all, not a single person, keep all updated listings, all in one application, in one place, all in one unified place all people using different methods, forever without having to make a single person has to go take care of entering all the contributions of users; JLojch automatically public and everyone can see real-time publications. How to use all the functions of the program? Actions: request games, search games, filter etc. can be made without registering on the application. The registration application is only for users who wish to modify or add more games to the list. I can Use JLOJCH on my PC? JLOJCH can be used in Windows or Linux or any operating system you have installed Java version 6 or higher. It works perfectly, but to register you have to be activated in the system as root. Can I use JLOJCH on my phone? 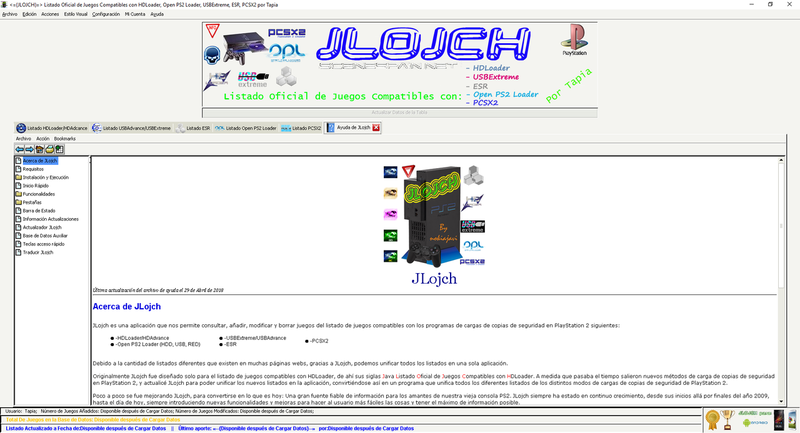 Yes, currently it has been released a version of JLojch for Android, obviously does not have all the features you have the PC version, but the basic functionality to check the listings HDLoader, USBExtreme, ESR, Open PS2 Loader and PCSX2. This application is 100 % created from scratch by me. It has no limitation as some users tested in the previous beta version. - New: No Connection Mode. 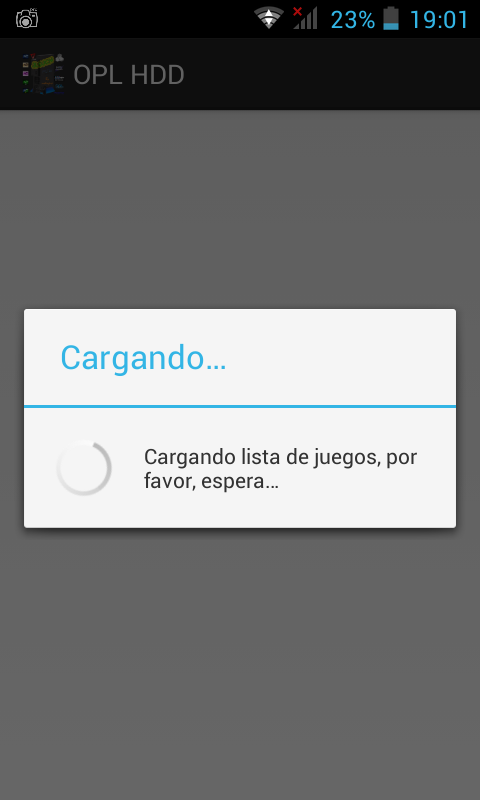 Complete remodeling of the application. - New: alphabet to find the games. - New: Using the horizontal and vertical application. - New: Display of charge. - New: Home screen with sound. - New: Fits perfectly to all devices. 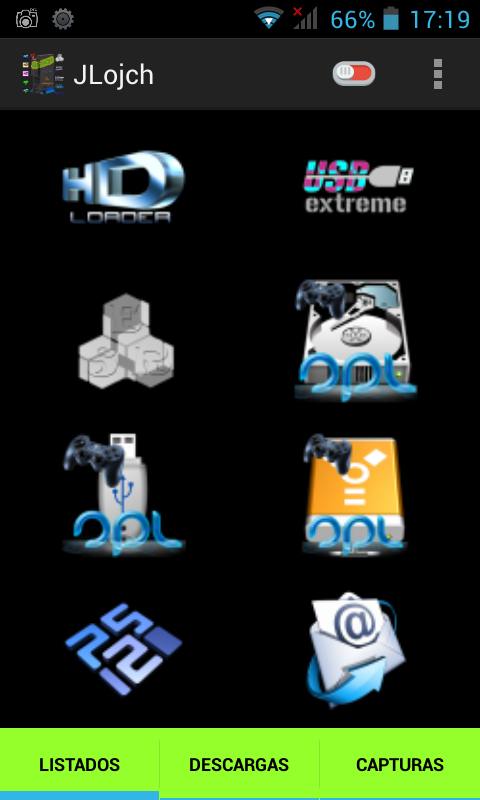 - Includes HDLoader , USBExtreme , ESR , OPL and PCSX2 listings . - Includes four languages : Spanish , English , French and German. It is the first official version of Android JLojch and my first application for this programming language , I hope I have as much acceptance as the PC version . You can comment to my future improvements or errors you find. 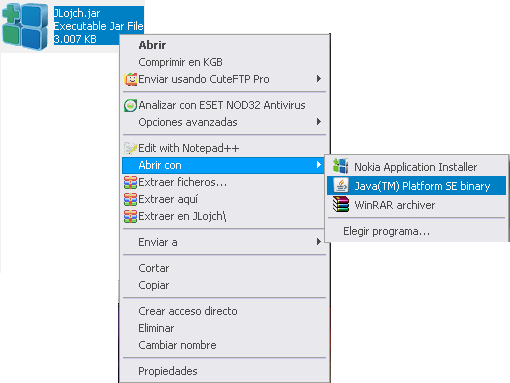 JLojch history is available from the JLojch application in the menu Help -> Version History. You can register in the application, this record will not have ever logging in to the program from the PC where you signed up he does just as well that you can add games to the list and edit, even delete and modify the games that you you have added to help keep the list updated. You can add game to the table in a simple and easy just You select the tab where you want to add the game, then pulsáis Actions menu-> Add Game or ctrl+A and typing the name and making a few clicks will have it added. 2. Fill fields with data from the game we want to modify, these data are the same as the game is on the list with the status information. Then select the new state. 3. Click Add and you should leave a message click to edit. 4. You will see a confirmation screen with new data from the game, and if everything is correct press will be modified and changed the game state. Games Edit: It's a Semi-Automatic: If the program detects that you're adding the game is in the database and the field HDLoader / State is for information will give you the option to modify the game. Viewer covers. A thumbnail of the cover of the game will be. Login: you can log in from any computer in the application, if you are staying with a friend or another computer. You can change the style of the application from a few accounts that are installed including the style of the OS. Depending on the version of java installed path is JR6 (for version 6) etc. I've released a new version of JLojch 3.37 as I said. Includes major changes and developments. Enjoy. - Fixed: Query that gets the name and date of the last game added to all lists. - Fixed: an image is not displayed in the help. Downloads in the main post. Nice work nokia bro ! Please take a rep! Thank you very much Brock! I hope it will be helpful to all users. Thanks for Rep! (02-04-2014, 12:16 PM)nokiajavi Wrote: Thank you very much Brock! I hope it will be helpful to all users. Thanks for Rep! 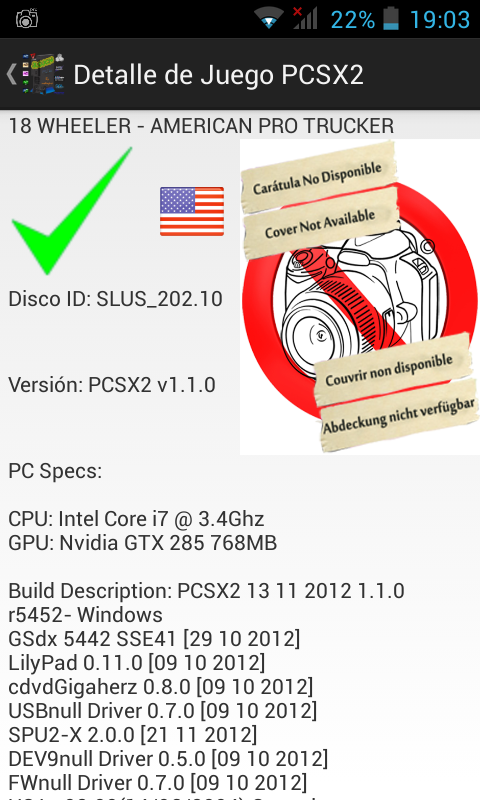 hi all , I am proud to announce that I have developed the application of JLojch for android . 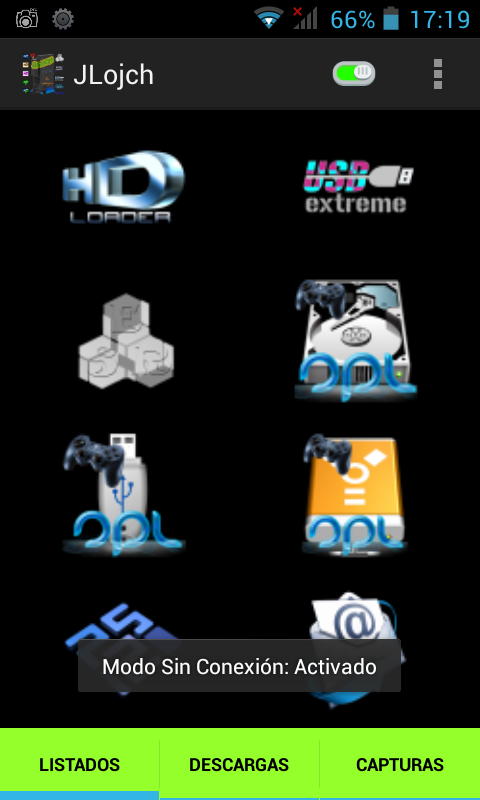 Logically JLojch main function can be performed in the application for android, that is, that you can see all listings of games compatible with HDLoader , ESR , USBExtreme , OPL (HDD , USB ETH) and PCSX2 . You do not have all the features as the PC version JLojch , but also is very useful , because the mobile always at hand and it goes on. - Includes four languages ​​: Spanish , English , French and German. You can also download the version from the first post of this thread. Coming in marketplace. New version of JLojch 3.38. Comming soon new features and improvements. - Fixed: JLojch did not start when you could not connect to the server. When the server JLojch exceeded the bandwidth set for the month, JLojch did not start now he asks whether you want to boot JLojch in offline mode or close the application. As it has exceeded its bandwidth server doesnt start the application and update via the updater. Access the web dep sourceforge project to download the latest version 3.39 of JLojch and to continue using JLojch as solves the error bandwidth. As it promised. I released a new version of Android JLojch. Version sure that you will be quite pleasant and more usable. 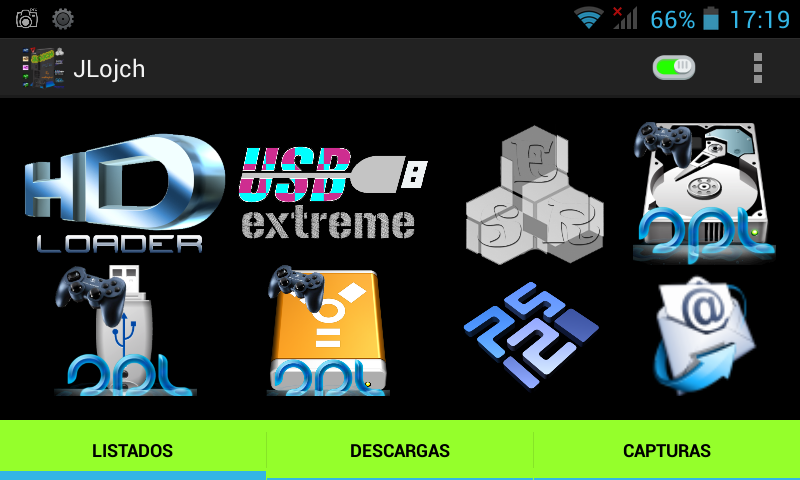 Made of pure native android application.